I have had a Lumia 810 since the release by T-Mobile over a year ago. Hands down best smartphone I have ever used. Nokia/windows os work great together.
. It Is The Best. Nokia IS,WAS & will always BE the greatest smart/supersmartphone manufacturer of all time, PERIOD. AnonD-92239, 26 Dec 2012I like the black. The plastic cases and the bright colors of the original phones get to me, an... moreLumia 920 is on ATT with LTE. 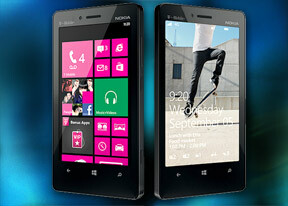 Most innovative phone out there, with a WP8 OS that never lags. I like the black. The plastic cases and the bright colors of the original phones get to me, and not in a good way. I just compared this to the HTC Droid DNA and the DNA is more solid. But, I need something on AT&T's 4GLTE. I am in the U.S. (New York) and need speed, most of all, for sending large graphics files. But somehow i feel that design is taken from Xperia Go. I say that because i am using GO! Yuuup, 16 Dec 2012Replying to my comment and defending windows obvioisly makes you a windows fanboy.Time to thin... moreobviously you do not know how to spell.Emphasis on Obviously. NicePaul, 18 Dec 2012Good that finally NOKIA started understanding the value of RECTANGLE. Next step is to get rid ... moreNot sure if troll or plain stupid. Windows phone? Restart? Viruses? Are you confused with desktop Windows? Good that finally NOKIA started understanding the value of RECTANGLE. Next step is to get rid of Windows that need request restarts and virus issues. Then I am going to buy NOKIA again. Yuuup, 16 Dec 2012Replying to my comment and defending windows obvioisly makes you a windows fanboy.Time to thin... moreI am a "fan". Any intelligent person would see that in my carefully composed reply. Now tell me, who needs to think before commenting?